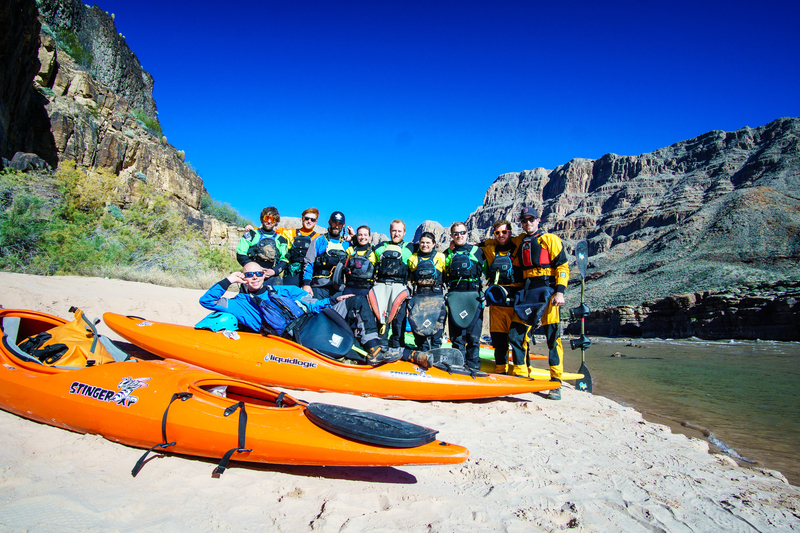 A guide to self-support whitewater kayaking. 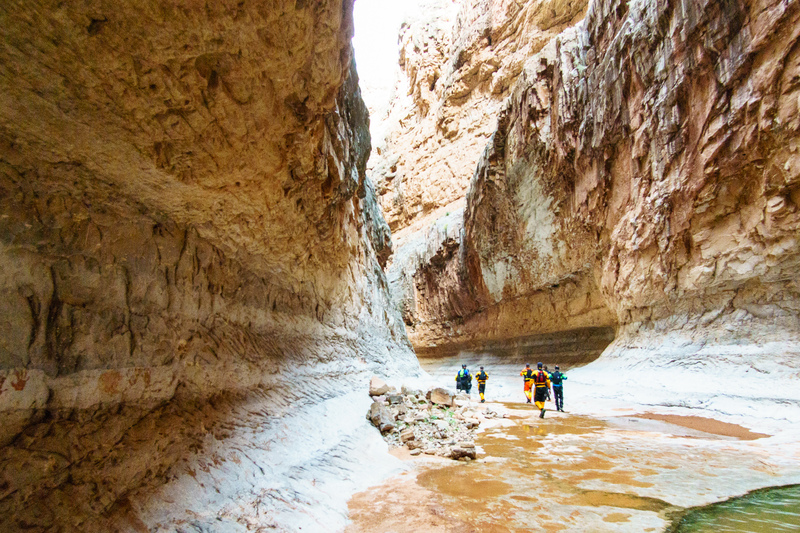 Grand Canyon permitting used to be governed by a waitlist, and many complained that the same cadre of old-time river-runners would just go again and again on each other’s permits. Other folks waited years — often over a decade — to get a permit. In 2006, the National Park Service reinvented the system, switching to the new weighted Grand Canyon lottery that gives first-timers and those who haven’t been recently an advantage, but allows anyone to win a permit in a given year. They also run periodic follow-up lotteries to distribute cancellations. First things first, create an account on the NPS website. Once you’ve done this, you can register for alerts to be notified when there are lotteries. The main annual lottery happens in February every year, but follow-up lotteries for cancellations can happen at any time, so it’s best to sign up for the email alerts. You can do this in the “Edit Personal Information” area on the lottery website (click here once you’re logged in). With that, the Park Service will notify you whenever there is a lottery (whether the main one or a cancellation). For cancellations, they have a list of dates available. When there’s an open lottery, you just go to the website (or click the link in the email they sent you) and apply for the dates you want. The team in Silver Grotto on a 2016 self-support. Each year, you have to pay a $25 permit lottery fee to enter. Once you’ve paid that, you’re entitled to enter every follow-up for the rest of the year. You pay once — for the main lottery in February — and then can apply in all the cancellation lotteries for those dates without paying again. The minimum you can spend to enter the lottery for a year is $25 — as is the max; you can’t buy extra entries. 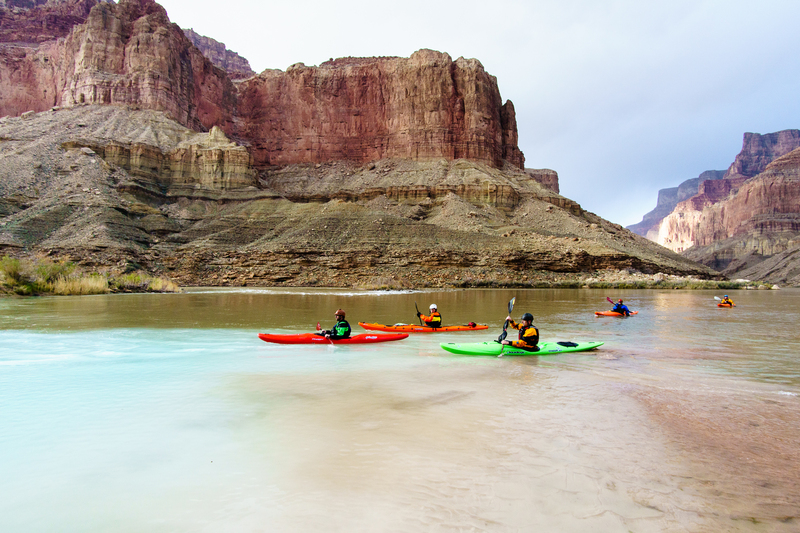 Every year that you don’t paddle the Grand Canyon, you earn a lottery point, up to a maximum of five. If you’ve never been, your lottery application starts with five points. If you go on a trip, the next year, you’ll only have one point. The points are the Park Service’s way of weighting the permit lottery — the more points, the higher your odds. What On Earth is a PATL? This basically means that — unless you’re really worried that you might have to bail last second, but you still want to apply — it almost never makes sense to assign a PATL. You and your friend(s) are much better off all submitting separate applications for the same dates. Group shot at the end of our 2016 self-support. The NPS will contact you by email if you win a permit in the Grand Canyon lottery. You can also log-in to your account and check the status of your lottery application there. If you do win, you have between one and five days to pay a deposit. For “small trips” (these are specified in the lottery when you are selecting dates), the deposit is $200. For regular trips it’s $400. If you don’t pay the deposit, your permit will be forfeit and your lottery points reset to 0 (they get reset when you win whether or not you accept the permit). Once you confirm your permit, the NPS will send you additional information about how to fill in your permit online. The balance of your permit fee is due 90 days before your trip — it’s $100 per participant. I’m not going to get into the details of your odds in this article, but suffice it to say — there are a lot of good reasons to apply for a winter trip! Floating past the confluence of the Little Colorado River and the Colorado. Copyright © 2019 Camping By Kayak. All rights reserved.